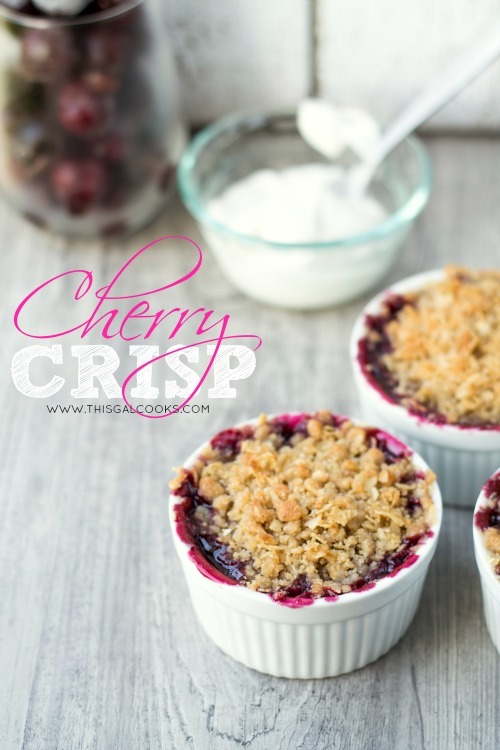 Crispy crumb topping over over freshly made cherry pie filling make this Cherry Crisp exceptional! One of my FAVORITE sweet treats made with fruit is fruit crisp. 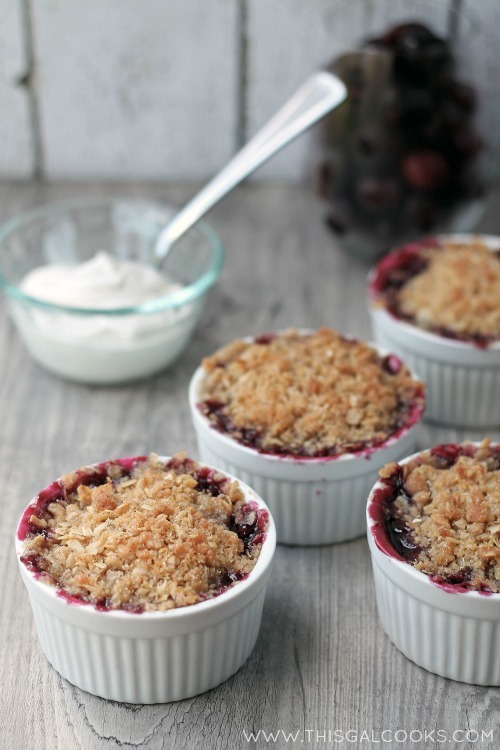 Apple, cherry, berry, if it’s topped with a crispy crumb topping, I’m a sucker for it. One of my all time favorite fruit fillings is cherry pie filling. I could eat bowls of it, even without the crispy crumb topping! What is your favorite type of sweet treat made with fruit? I decided to make Cherry Crisp this past weekend. I bought 3lbs of cherries, pitted them, froze half and made the cherry crisp with the other half. I made exceptional cherry crisp. How is it exceptional? I added a little sherry to the cherries as they were cooking and I put some of the crumb topping in the bottom of the ramekins. Extra yum right there! Ah, so I’ve been experimenting with my camera again. I started shooting in RAW and I downloaded a free trial of Photoshop Elements (which I will probably be purchasing after the trial is up.) I shot two of the photos in this post in RAW, two in JPEG. The 2nd and third photos were shot in JPEG while photos one and four were shot in RAW. All were edited in Photoshop elements and text was added in Pic Monkey. Can you tell a difference? I’m not sure if I can. I don’t think my lighting was that great when I took these but once I gain more knowledge of Elements, I should be able to edit the photos better. I thank my good bloggy friend Deb from Cooking on the Front Burner for getting me to give shooting in RAW a try and for recommending Elements. Place the cherries, ½ C sugar, water and cornstarch in a large pot. Mix well and bring to a boil over medium heat. Once boiling, add the sherry. Cook until thickened and bubbly. In a mixing bowl, combine the oats, flour, ¼ C white sugar, brown sugar and cinnamon. Cut in the butter until crumbly. Place some of the crumb mixture in the bottom of the ramekins. Top with cherry mixture until about ¼ inch from the top. Top the cherries with the rest of the crumb mixture. You should be able to use just about all of the crumb mixture between all four of the ramekins. Bake at 375 for 15-20 minutes or until the tops are golden and the cherry filling is bubbly. I often link up to these fab parties. 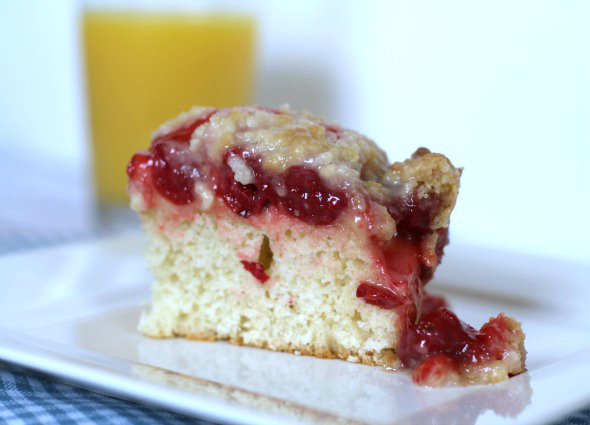 Wonderful photos Julie, but the recipe is pretty darn delicious! Not sure what Photoshop to try Elements or lightroom? I am liking elements so far but I hear lightroom is really good. I hear it is more advanced and a little more difficult to use. I may try a trial of it as well and then decide which to get but as of right now, I am leaning towards Elements. Thanks fro stopping by, Tanya! The crisp looks great Julie and I love that you added a layer at the bottom too! Genius! Your pictures are beautiful and wish I lived near you so you could teach me a few tricks. Thank you, Zainab! Anything to get in some extra crumb topping. I love that stuff! Julie, this crisp is beautiful and I am so sure it tastes incredible! Fabulous photos, as always! Thanks for sharing, pinning and buffering! :) (I’ve been teasing about how did that become a verb??) Have a fabulous week! Thank you so much, Cindy! LOL, there’s tweeting, Facebooking and now Buffering! Hope you are having a good week! These look just fantastic!! Great photos!! I love when I find different uses for cherries. This crisp looks delicious, I can’t wait to try it! Looks so delicious! Pinned and buffered! Thank you so much, Liz! I could pretty much live off of crisp. Well, maybe not but it’s so good so I feel like I could! 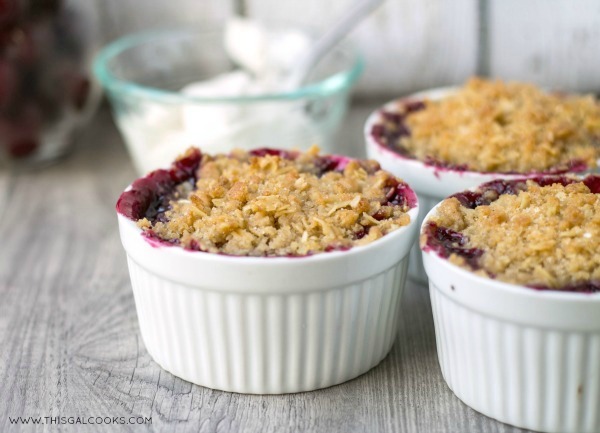 The best part about any crispy is the crumble topping! I love cherries!! I hope you have a cherry pitter! 3lb is a lot to do with out one! Oh yea, I have a cherry pitter. In fact, I bought one so I could pit these cherries! And the crumble topping IS the best part! Yum! These sounds yummy Julie! 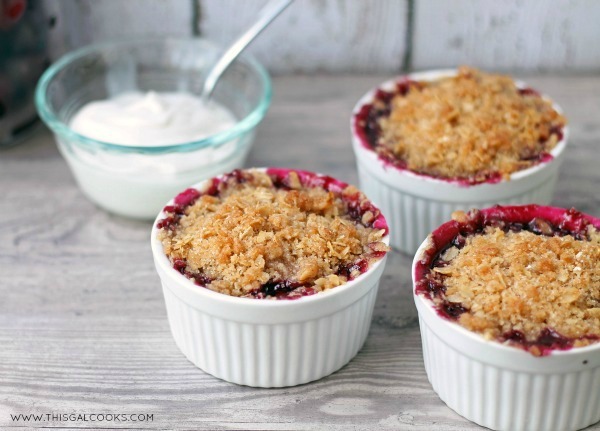 Love the crumble topping and the photos look great! :) Pinning! Thank you so much, Anne! Crumb topping is the best, isn’t it? Love the look of these cherry crisps! I’ve been dying over all of the fresh cherries at the market recently, and I’m glad to have an excuse to buy them and bake with them. :) I always shoot in jpeg and I know it’s not what I’m “supposed” to do–guess I should take the leap to RAW one of these days! Wow, the food looks so delicious! Your First RAW photo looks amazing!!! Congrats for having the guts to try it out! I am still in Creative Auto!!! EEK! This Crisp looks delightful! Thank you so much, Chandra! It really isn’t as scary as it seems! I tried out manual and then I moved to RAW. I still have stuff to learn but I am learning along the way! I just posted my first recipe in RAW too! I can tell a difference between the photos a little bit, but I know what you mean. When I took my photos they were so sharp and colourful, they were like perfect and when I edited them on Lightroom they still looked good. Now they’re on my blog they don’t look that different?! ARGHHH more practice needed!! Practice makes perfect, right?! Headed over to check out your photos now! These look great…I love cherry season! And I love your ramekins – they look like mine. :-) Visiting from Thursday’s Treasures! I just love little mini baking items! I found these at Pier 1 last weekend and just knew I had to get them! I made a berry crisp this week and my husband (whose not a big dessert eater) LOVED it! I’ll have to try your berry crisp recipe next. It looks amazing! I bought a package deal from Adobe last Thanksgiving where I get unlimited use of all of there applications for $29.99 a month. It’s an awesome deal if you’re interested in playing around with Photoshop, Lightroom, and the other apps. My husband also bought me a book from Barnes and Noble that helps you figure out how to use everything. It is so helpful and I reference it a lot. There are numerous books on the subject but, so far, this one is my favorite. It’s called: Creative Suite 6 Design and Web Premium. What kind of berries did you use, Theresa? I made a blackberry crisp last week. It was really good but I wasn’t a fan of the seeds. Thank you so much for the information on the book. I’ve looked into that monthly plan before. It does seem like a good deal. I’m just not sure if I have time to use all of those Adobe products right now! I used raspberries, strawberries, blackberries, and blueberries last time. I’m not a huge fan of the seeds either so I’ll probably omit them the next time I make it. However, it was still delicious! This sounds delicious, Julie, and your photos may be better than ever (although they were already awesome)! When I first got my new camera I tried shooting in RAW, but the files were bigger and I didn’t know what I was doing with editing so went back to JPG. Maybe now that I have a little more of a handle on using the camera I could give it another try. Thank you, Andi! You should definitely give it a try again! I’ve been using photoshop elements and it has worked pretty well. It seems easier to learn than photoshop because it doesn’t have as many in depth features. This looks delightful and perfect for summer! 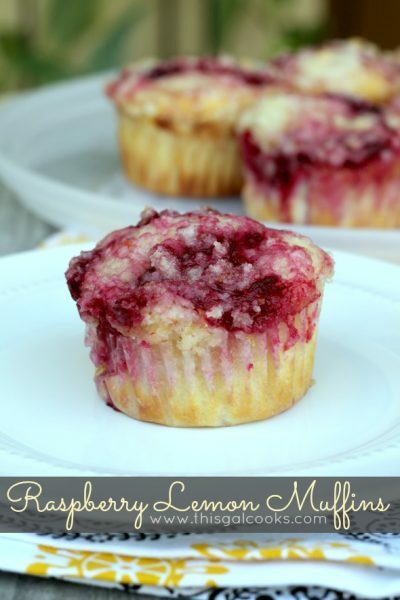 I was wondering if substituting blueberries for the cherries will work for this recipe? Thanks so much. I will definitely give this recipe a try always looking for single serve desserts. You’re very welcome, Liana! I love the single serve desserts! Ohhh your cherry crisps look SO GOOD!!!! Beautifully baked, and they look so yummy!!! Thank you, Maria! They were yummy! I was going to make something else with the remaining cherries that I froze, but I just might make this again! Your photos look incredible Julie – ALL of them! And so does this crisp – YUM! Pinned and featuring tonight! These look so yummy! And your food photography is so pretty! Any kind of “Crisps” Recipe is my favorite, including Cherry! Awww, thank you, Gloria! I love Cherry Crisp…and cherries in general! Summertime is the best time to get them as that is when they are in season. I think from June – August is good. :) Which reminds me…I need to get more soon before they go out of season!